Today I started a new and exiting approach of presenting images to my clients. At least for me… new and exciting. This is a sample: the wall above shows the last 4 images I posted on this blog. 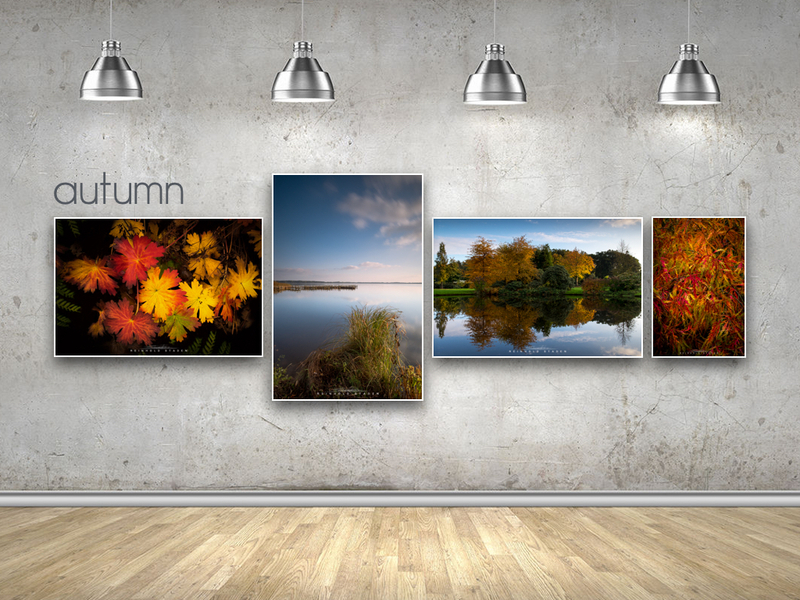 They all belong into the gallery “autumn”. I want to create the feeling as if the viewer is standing in a gallery looking at framed or unframed images in different sizes or may be different materials.